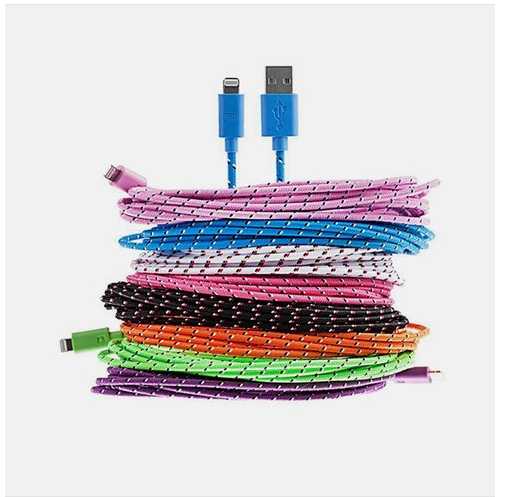 3-Pk 10ft Braided Sync Cable for iPhone & Android Only $9.99 + FREE Shipping (Reg. $50)! You are here: Home / Great Deals / 3-Pk 10ft Braided Sync Cable for iPhone & Android Only $9.99 + FREE Shipping (Reg. $50)! I bought these the last time they had this sale and I LOVE them! Hurry and snag your own 3-Pk 10ft Braided Sync Cable for iPhone & Android for only $9.99 + FREE Shipping (Reg. $50)!